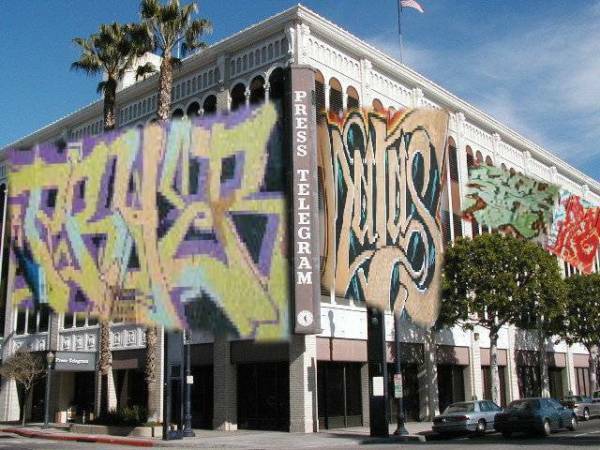 Regarding Press-Telegram Editorial: "Two Kinds of Graffiti"
"...The wall paintings at MacArthur Park are colorful expressions of street art. They are murals, not crude gang signs, although their graphics show an undeniable affinity for their cruder counterparts. Do city-sanctioned murals encourage vandalism by teenage boys? Our guess is that they do the opposite, by gracing public buildings with the work of street artists. The message of the mural program is that neighborhoods deserve beautification, not desecration. ..."